Essential endpoint protection for your business. Secure every click. To obtain a price quote for this quantity, please contact us or an authorized Avast Business partner. Would you like management console? We noticed you’ve got a lot of devices to protect. 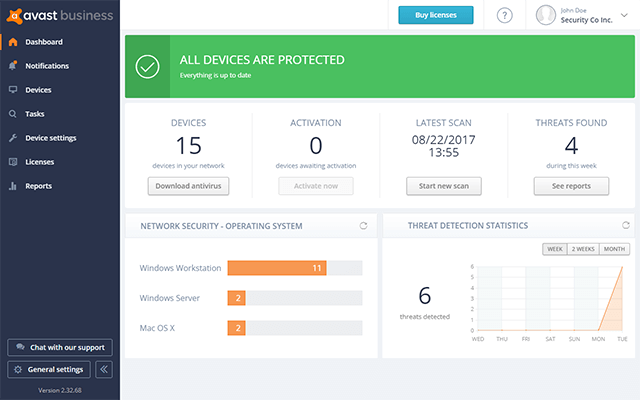 You can control their security from one central location with our console for free. The power of 4 protective shields will prevent anyone in your office from sending or receiving infected emails, from downloading risky files, and will also block access to dangerous websites. Our impenetrable firewall will keep you secure without slowing down your business. Completely customizable, you can easily adjust your settings according to your needs. 360,000 new malware strains are created daily. Cybercapture analyses suspicious files and zero-day threats from around the globe so your virus database is always up to date. Thorough but unobtrusive. Smart Scan has been designed to run without slowing down your PC, skipping over non-vulnerable parts of your systems to maximize its efficacy and save you time. I really like it's auto scan feature that automatically scans storage devices and the installed application in a very short time. The software works really well. It has the highest rate of detections and the lowest rate of false positives. Avast Business Antivirus does an excellent job catching things before there’s a problem. This is an awesome and affordable security product – and one that I have considered the best in its class for years. The most significant advantage of this antivirus is that it daily updates its definition of which viruses it considers risky for the computer and also detects viruses of all types, even those that are capable of modifying themselves. I have been using Avast since 2010 and it never let me down. Mostly viruses try to attack computers through flash and usb drives. 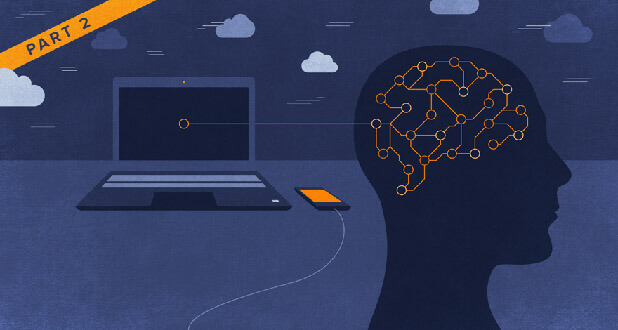 But Avast scans any new attached device as soon as it is connected. Avast is awesome. One of my favorite features is the Avast Sandbox. This allows you to run any program downloaded or installed on your PC in a virtual sandbox that doesn't have any bearing on the rest of your PC. What I like most is its interface and ease of use, it is a good antivirus. It guarantees in a certain way security to the company - more efficient tools that could protect the functionality of the equipment and integrity of the data. Rated #1 best SMB cybersecurity software of 2018. Choose how you want to manage your Antivirus in the purchase or trial process. Please note: The Stand-alone and Managed licenses are not interchangeable. This means, the Stand-alone Antivirus license will not work with the Management Console and the Managed Antivirus license will not work with a Stand-alone Antivirus product interface. So be sure to choose the right one for you. Business Security 3 cybersecurity tests and tools for protecting your small business Cybercrime is set to cost companies more than $6 trillion per year by 2021. If you don’t want your small business to be included in this figure, it’s essential to invest in cybersecurity. Use these clever tests to help keep your cybersecurity software up to date to protect your small business. Business Security Denial: why do small businesses turn a blind eye to their biggest threat? “You can lead a horse to water,” says Doctor Lee Hadlington, Associate Professor of Cyberpsychology at De Montfort University in Leicester. He doesn’t hide his exasperation. “Until a company gets attacked, or they know someone that’s been attacked, they won’t do anything to protect themselves. 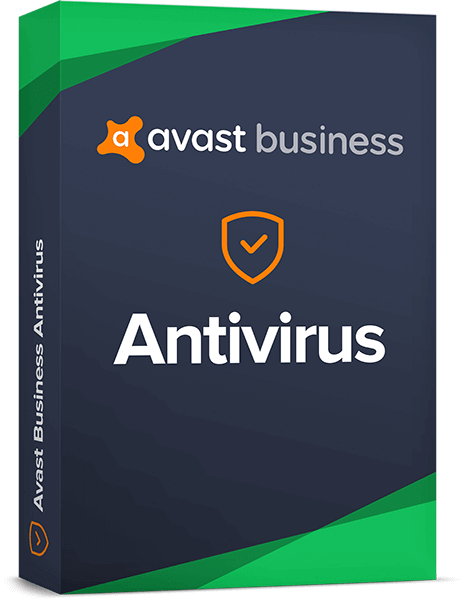 How to install Avast Business Antivirus? We have published an article that guides you through the installation process step by step. If you experience any issues during installation, please submit a ticket to our business support team. 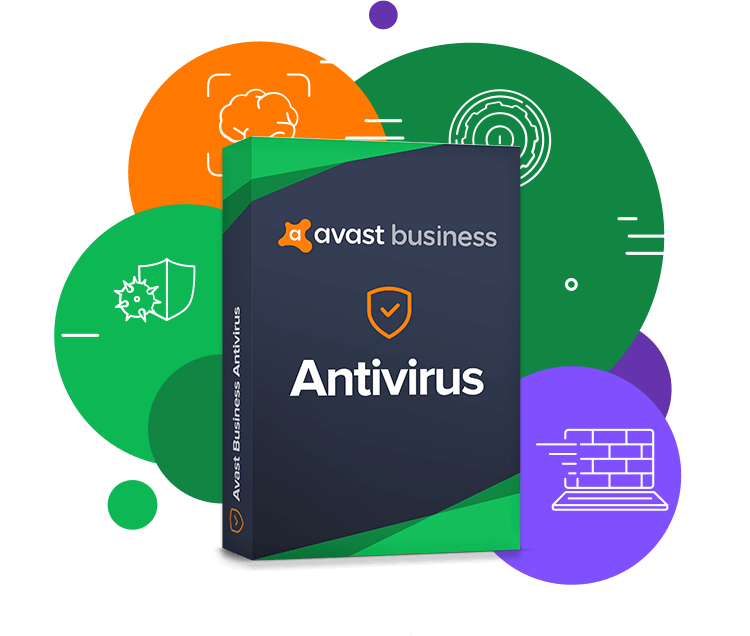 What level of protection do I get with Avast Business Antivirus? Avast Antivirus gives you the essential protection against malware, ransomware and spyware. For more information on the included components, please go to “Available Editions” section. 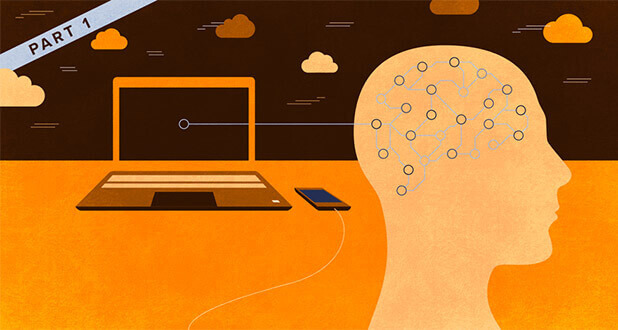 How to stay protected against malware and what are the best practices? It is important to keep your Avast Business Antivirus up-to-date and run scans regularly. You can find all the useful information you will need in this article that suggests best practices when dealing with threats and more information on how to stay protected. Where can I submit false positive? You will be able to fill out a form on our page and submit the file/s or URL/s directly to our lab. 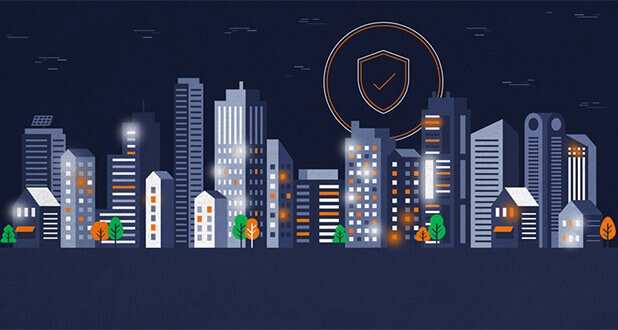 After the review of the false positive, a new virus definition will be released with a fix and Avast will no longer detect the file/s or URL/s if they are in fact safe.